The RE20 rotary engraving CNC machine allows for rotary and cylinder work with the rotating Y axis on a variety of material such as timber, woods and plastics to name a few. Specialising in carving for cylinder or cubic work pieces, it was even mill odd shaped pieces due to the jaw chuck system. The software supports many file formats such as jpg, vector, dxf, stl and 3d. 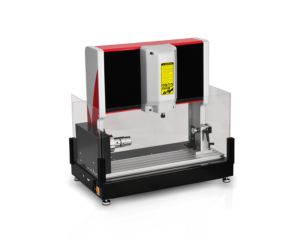 The brushes DC spindle motor allows for high efficiency, low temperature and provides a clean precision finish on the material. 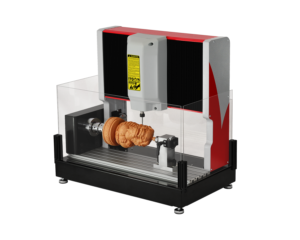 The RE20 rotary engraver machines as a vivid interface system which allows an easy to learn job processing and designing before setting the machine away ready to carve. The built in software can store up to 10 jobs which speeds up production for repeated jobs. 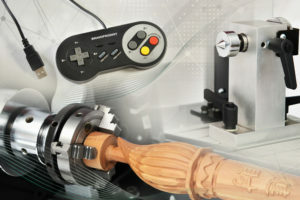 You can use the hand held controller to control the machine or programme through the software at the computer. 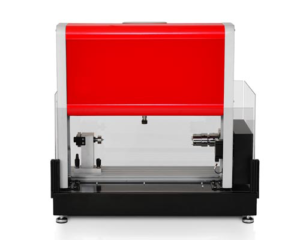 Our engraver is supplied with a brand new copy of the VECTRIC VCARVE DESKTOP software. VCarve includes the functionality demanded for complex work while remaining incredibly easy to use. 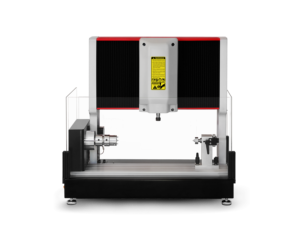 The software is used by cabinet makers, wood workers, sign makers, prop makers, plastic fabricators, hobbyists and in many other applications. VCarve provides a comprehensive set of drawing and editing tools to let you easily create vectors from scratch however you can also import 2D designs from other programs. Advanced Text Tools let you access True Type or Open Type fonts on your PC to create text outlines for your design. Brushless 200 watt DC motor for low noise and longer expectancy. Works with any PC computer running Windows XP or newer. And more important it includes a simple straight-forward common platform software package.